The lagoon, a coastal basin separated from the sea by a barrier island , is subject to the bustle of the tides and , consequently, to their constant mutability. The Latin etymon “lacuna” (empty space), evokes a place/container which houses a balance both delicate and mutable. Laguna project starts here: from the relationship between content and container, boundary and limit. 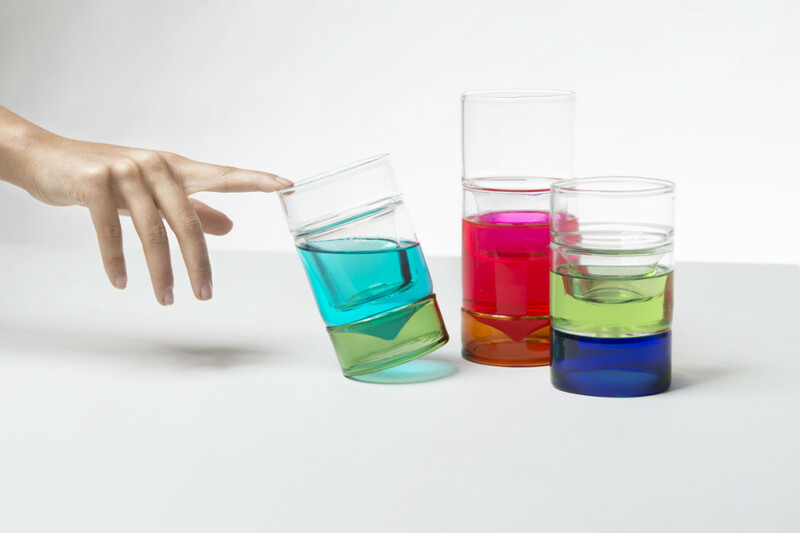 Borosilicate glass objects made of colorful and overlapping transparent layers, which enclose within themselves an empty space, a cavity containing colored liquid. Their interior can therefore accommodate a liquid content that, liaising with both the glass wall and the fluid interspace, composes delicate traces of light and color. Moreover, the two-dimensional image of the product highlights the similarities with the work of Rothko: three horizontal chromatic stripes blur into each other, renouncing any idea of static shape and border. 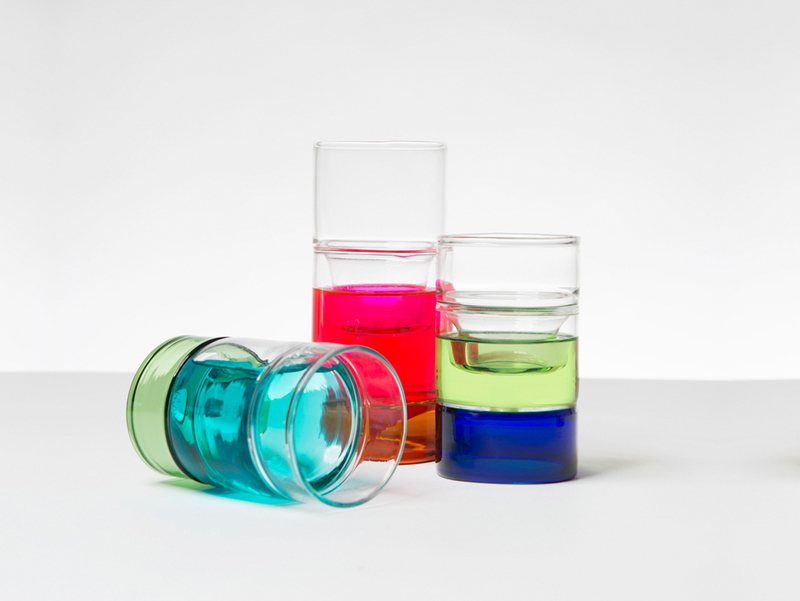 The colors are those pure and intense of the borosilicate glass blended with the liquids contained in the cavities.